Breakbeats was designed with the city in mind. 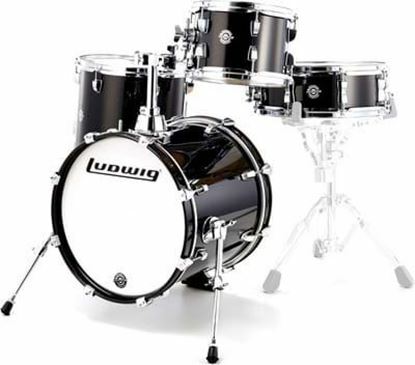 Positioned on a riser for optimum reach, its compact 14x16" bass drum, 7x10" tom, and 13x13" floor tom creates a set-up for sculpting grooves in tight spaces. It features Remo Pinstripe heads for pro-level tones, and comes with a multi-purpose bags for easy transport, and drum muting. A custom solution for the discerning player. 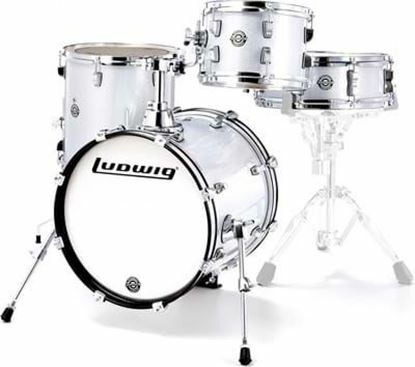 Designed as an intermediate Drum Set, the Ludwig Element Evolution is everything an aspiring drummer needs to succeed. 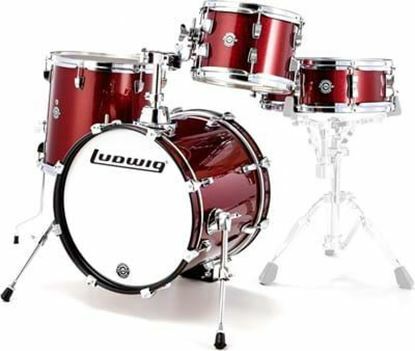 The Evolution Series Outfit comes with double braced hardware to make this great for drummers of any age who are ready to take the next step.